Why Are Judges Such Nitpickers? R.J. Rushdoony: 00:01 Why are judges such nit-pickers? This is R.J. Rushdoony with a report on our threatened freedom. Why are technicalities so heavily emphasized by our judges and courts to the exclusion of justice? New West Magazine recently described the accelerating crime rate and the declining convictions because of the emphasis on technicalities. Some frightening examples were cited. R.J. Rushdoony: 00:31 A Curran County California man was arrested for beating a co-ed to death. We waved his Miranda Rights and talked to police. His conviction was reversed because during the questioning, the man asked to see his mother. Because the police did not stop their examination immediately to grant him his request, the court held that his rights had been violated. R.J. Rushdoony: 00:58 Another case. A young man confessed three times to murdering his parents and grandparents. The first confession was to a policeman, the second to a deputy district attorney, and the third to the television audience of 60 Minutes. The conviction was reversed on the grounds that he did not understand his right to remain silent before he waved that right. Many more cases can be cited. They are routine today. They should not surprise us, however. After all, what is left of the law except technicalities if we deny justice? R.J. Rushdoony: 01:41 A pronent lawyer recently wrote a book ridiculing the idea of justice as a myth. A major university professor and philosopher has called the ideas of guilt and justice myths. Without agreeing with him, we can and must accept the fact that he has summed up the problem. According to the late Professor Walter Kaufmann in “Without Guilt and Justice,” there is no God and therefore there is no guilt nor justice. For a man to be guilty requires that he be responsible to a higher being. For a law or a justice to prevail over all men, there must be, again, a God over all. Having rejected God, Kaufmann logically rejected both guilt and justice. 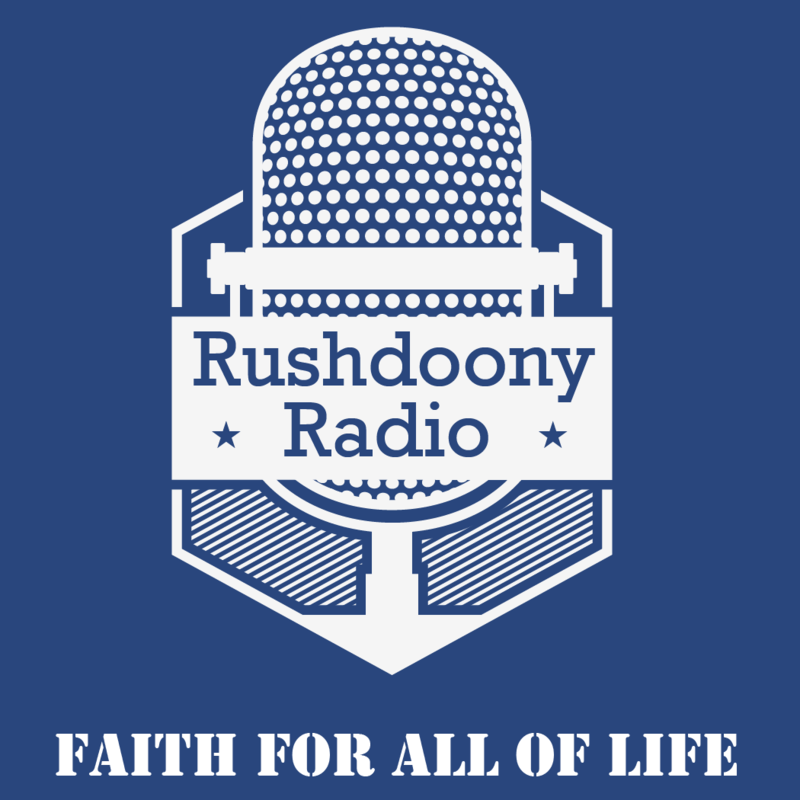 R.J. Rushdoony: 02:32 If we want justice, we must also accept God. Our problem today is that our federal and state governments and courts have rejected God, and therefore they have rejected justice. All that is left of the law are empty technicalities. Kaufmann held, and I quote, “Without justice, there is no guilt.” Our courts are turning loose the guilty because they no longer believe in justice. Having abandoned faith in God, they have abandoned justice. Justice is God. And all that is left of the law are regulations. Regulations, which control the honest citizenry, strangle the businessman and farmer, and turn our country into a bureaucratic nightmare. R.J. Rushdoony: 03:26 In the process, we are also losing our freedom. This should surprise no one. If God is meaningless to us, then justice and freedom will be meaningless also. And finally, life itself. The course we are on is suicidal, the wages of sin have always been death. This has been R.J. Rushdoony with a report on our threatened freedom.